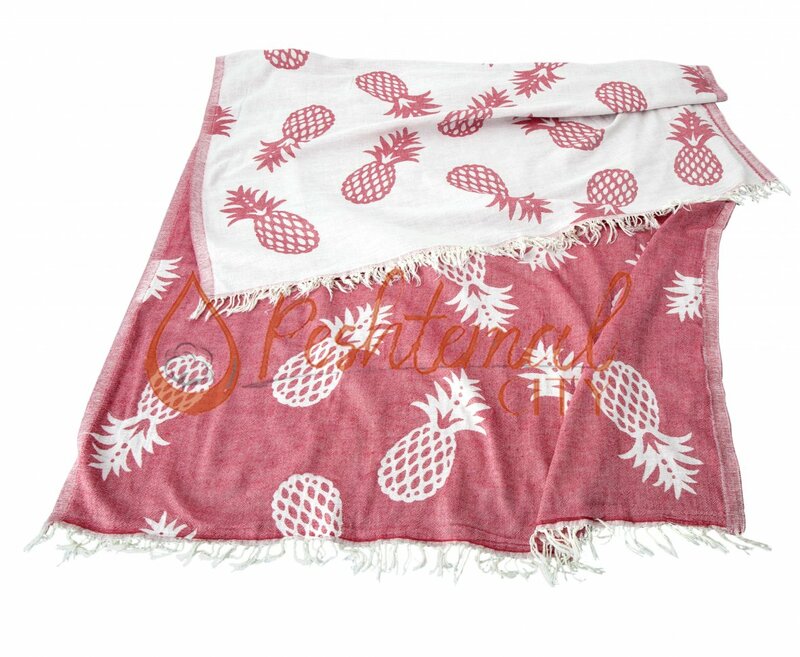 Woven 100% from premium quality Turkish cotton, Pineapple Turkish Beach Towel only weighs 310 grams. It has a size of 90x170 centimeters. 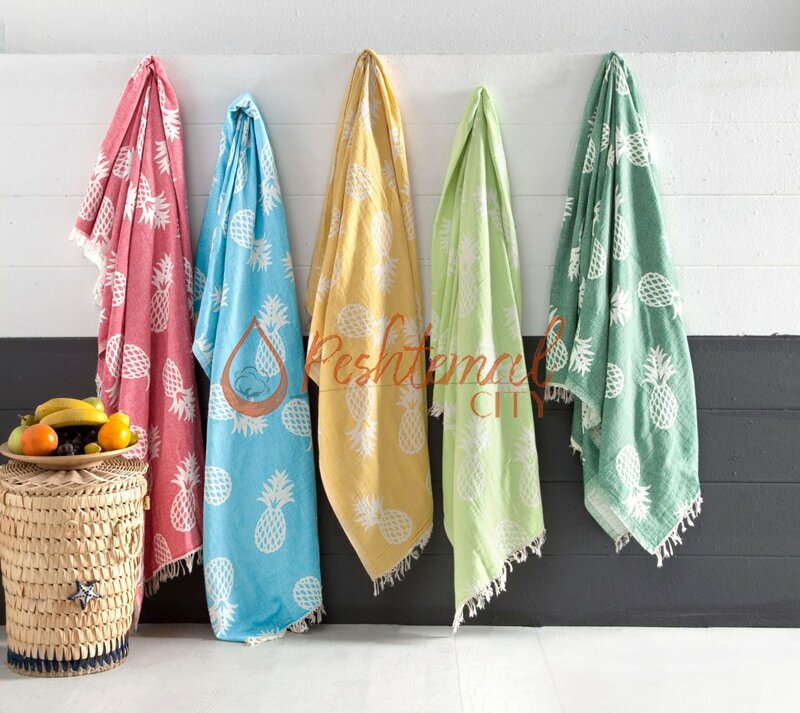 Pineapple Turkish Beach Towel is highly absorbent, quick drying, soft and durable. We offer a wide color spectrum for our latest fashion peshtemal design, Pineapple Turkish Beach Towel. You can choose the perfect combination to complete your beach clubs, welness centers, country clubs, hotels and home! Contact us now for your Turkish Beach Towel wholesale needs!